This home sets creekside on the side of ski mountain road. Just 5 minute drive from downtown Gatlinburg and seconds from Ober Gatlinburg Ski slopes. It's a 2 bedroom with 1 king bed and 1 queen bed, 1 full bath and A 1/2 bath. A Gas stone fireplace. Cable, TV, and Internet WIFI in every room. For entertainment you have a classic tabletop video game with 60 different games on it. A queen size sleeper sofa and a twin size sleeper sofa. So the home sleeps up to 7 people. A large back deck over looking the creek with a gas grill ready to go. It also has a full kitchen stocked if you do want to cook. Dinning area with seating for 6 and a small bar counter area also. 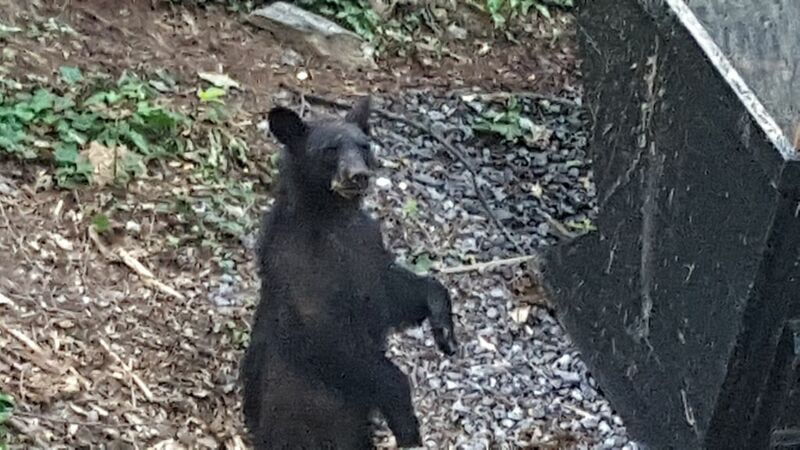 Even though the home is in city limits you will most likely see a bear around the home. So please remember they are wild animals and do not try to feed or pet them. Table that seats up to 6 people. A classic table top video game with 60 different games to play. We had a great couple days at the cabin. Everything was amazing. The cabin had everything we needed from the kitchen to the outdoors. It was peaceful and relaxing. We would stay again in a heartbeat. Wonderful time in a comfortable and affordable cottage. Thanks to David. He was very quick to respond and we had all the facilities needed. We just hope we had been a decent guest. This cabin is located close enough to both sides of the Parkway to keep the kids happy, but just far enough away that the parents can relax in the evenings away from all the lights and noise. Cabin is much roomier than it looks in the pictures, but still "cozy" enough to reconnect with our teenagers!! We have already recommended this to a few of our friends thinking of visiting Gatlinburg this summer, and will definitely book again! Thanks David! Very clean and user friendly! Easy access to town and all the attractions!